Tuality Healthcare has been home to many things over its century-long existence in Washington County, but it's currently planning on something new. The hospital plans to launch a new residency program in family medicine and internal medicine in 2021. Residency programs are considered post-graduate training programs for students who have finished medical school to focus on a specialized area of medicine. Tuality Community Hospital in Hillsboro has never offered residency programs before. "These are folks who have done undergrad, they went through medical school, now they are just differentiating themselves into a specialty within medicine and they can further specialize after their residency," said Brian Ricci, who will oversee the internal medicine program. "The residency program is really taking folks who are students of medicine and training them to be independent practitioners who can be out on their own and practice on their own. They sort of live in this world of being doctors and students." Last month, Tuality named a director for the new family medicine residency program. Mary Nordling will join the Hillsboro program this summer as its new director, joining Ricci and Lori Rice, Tuality's graduate medical education program manager. Adding residency programs to Tuality may help to foster doctors who will finish the program interested in working in the area, Ricci said. "We want to train primary care providers that can live and work in this community and help in meeting the overall shortage of primary care providers across the state," Ricci said. The hospital hopes to work with staff at the Virginia Garcia Memorial Health Center in Cornelius, Ricci said. Residents may work at the Tuality Community Hospital, in Tuality clinics across the area, or at Virginia Garcia, he said. Ricci was hired by Tuality roughly a year ago to lead the new program, previously working as an associate program director at Oregon Health & Science University hospital, an affiliate partner of Tuality. Nordling previously worked in Hawaii, where she helped launch the state's first residency program in 2014, according to Tuality. "I have spent my entire family medicine career training and working in community hospital settings and serving underserved communities, both urban and rural," Nordling said in a statement. 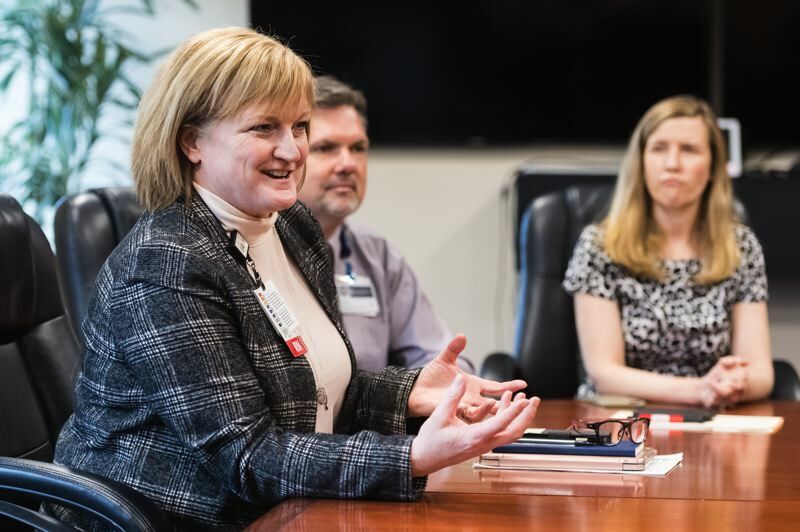 "I am honored to join the Tuality team and look forward to working with the hospital, community partners and OHSU to help create an excellent family medicine residency program in Hillsboro." Nordling has also served as the associate program director at the Lawrence Family Medicine Residency in Massachusetts, serving patients who were primarily Spanish-speaking at a federally qualified health center, according to Tuality. "Dr. Nordling will be a fantastic addition to OHSU Family Medicine, and will contribute incredible energy and expertise to Tuality as they begin the process of applying for, and building, the first family medicine residency in Washington County," Tuality said in the statement. Ricci said he and the new team look forward to shaping the new programs to directly meet the needs of the local community. "The two of us and (Nordling) are all really excited about the opportunity to sort of innovate in a new program, which means we can really focus on areas of the community needs," Ricci said. "Things like addiction, we can think about connecting with migrant farm workers, sort of creating our curriculum around what the community actually needs. That's an opportunity that doesn't come up very often."